In what makes only the second state approval of a nation-wide effort to remove barriers for military spouse attorney employment, Arizona Supreme Court Chief Justice Rebecca White Berch issued a rule authorizing admission of qualified spouses of military service members to the practice of law in Arizona without the need to take the state bar exam, so long as they meet and maintain other competency requirements. The admission is limited to the period of time the military service member is stationed in Arizona. 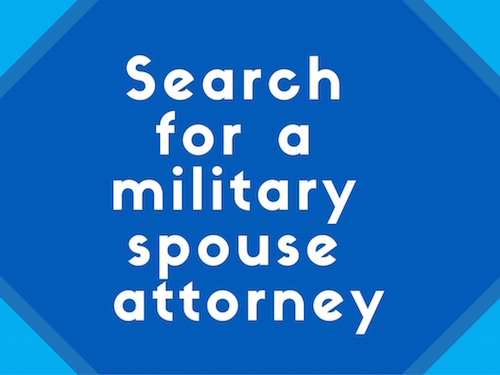 On December 10, 2012, Arizona State Rule 38(i) was issued, allowing qualified attorneys married to servicemembers to apply for admission without examination, an acknowledgement by the Arizona legal community that although military spouses are in the state only temporarily, they have valuable skills and experience to contribute to the local legal community and should be given the opportunity to do so. Rule 38(i) follows a national trend in recognizing the service of military spouses and follows the support from the American Bar Association and the National Conference of Chief Justices. The Rule will be in effect on January 1, 2013 and after that date military spouse attorneys will be admitted without examination. A copy of the language of the Rule can be found here. If you would like more information about the Military Spouse JD Network, contact milspouse.bar@gmail.com and visit www.MilitarySpouseJDNetwork.org. Nice post. I was checking continuously this blog and I’m impressed! Extremely helpful info particularly the ultimate phase 🙂 I care for such information a lot. I was looking for this certain information for a long time time}. Thanks and best of luck.